Well defined quality program which addresses the process controls and the inspection norms to ensure that the product meets the requirements of the customer. In-house laboratory equipped with relevant testing facilities to deliver product as per applicable national/international/customer requirements. Periodic review of the quality systems for the need to check suitability and required modifications for improvement to enhance customer satisfaction. Collaboration with NABL accredited laboratories for support. Focus on new product development. Committed and dedicated team to deliver products made to exacting specifications as defined by the customer. Radioactivity : Portable Radiation Meter to check the radioactivity contamination in incoming scrap / metal. Chemical Testing : By Spectrometer and Wet analysis. 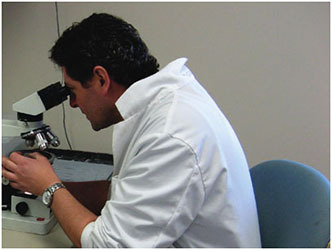 Macrostructure Examination : Determination for as-cast billets. Mechanical Testing : Tensile Testing with Electronic Extensometer, Hardness (BHN, HRB, HRC), Impact Test (Charpy and IZOD). Metallurgical Testing : Inclusion (purity) check, Decarb, Grain size, Microstructure, Spherodization %, Delta Ferrite content, Phase Analysis by Carl Zeiss Microscope with Image Analyzer. Magnetic Particle Testing : For Martensitic Stainless Steel, Carbon and Alloy Steels and Special Steels. Fluorescent Liquid Penetrant Test : For Austenitic Stainless Steel for checking surface imperfections. Ultrasonic Test : As per DIN / ASTM international standard / customer requirement. Surface Roughness : Portable Surface Roughness measurement Machine. Straightness Measurement : Straightness measurement arrangement with dial guage for TIR Value. Anti-mixup Test : 100% material is tested for anti-mix-up. Test Certificate : As per requirement.